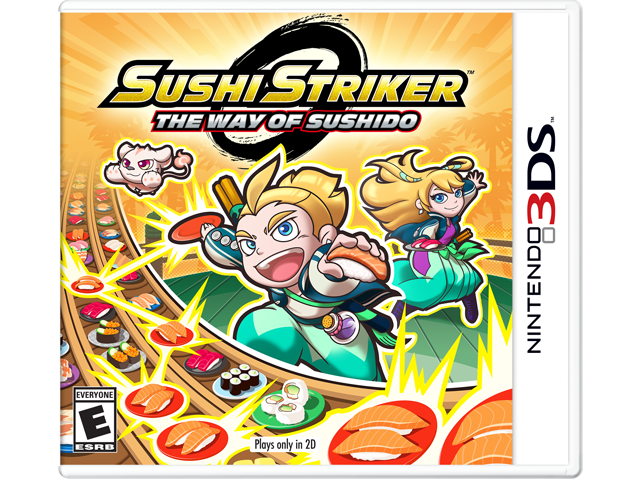 In the fast-paced world of conveyor-belt sushi fighting, match colored plates and types of sushi to hurl tall stacks of plates at your opponent. The more matches you make, the taller the plate stack and the stronger your attacks will be. Defend your homeland from invading enemies in this puzzling action game so more people can enjoy delicious sushi in peace. May the best sushi samurai reign supreme! Use the touchscreen to match plates of sushi and rack up tall stacks. Connecting same-colored plates and building combos results in more and more plates stacking up, which results in stronger attacks. Match plate patterns for a higher bonus. The fancier the sushi on the plate, the stronger the plate. Toss plate stacks at your opponent to deal crushing blows.